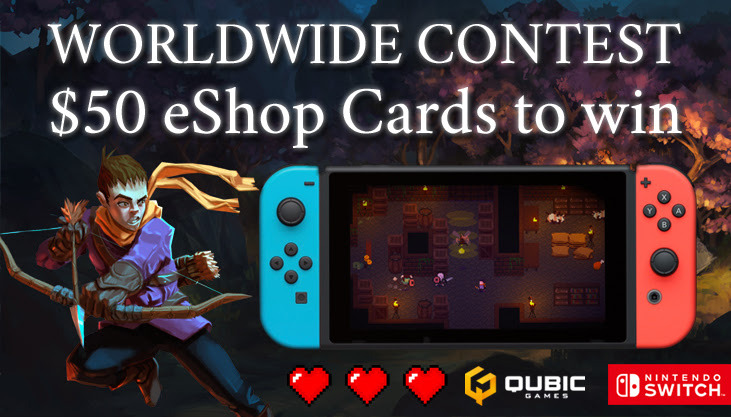 Our friends over at QubicGames are hosting a sale on some of their games on Nintendo Switch. There have also organised a giveaway for one of two $50 USD eShop cards. To celebrate, we offer you the chance to win two $50 USD eShop Cards (or its close equivalent in another currency). Complete as many entries as possible to increase your chances of winning (for example by posting a photo or screenshot of you playing our games). 2 winners will be drawn randomly on Thursday 21st February. Good luck and Happy, Lovely Gaming!